Claire’s inspiration came from the gardens and fountains in and around the city. Spending a lot of my time in West park with her children, the beautiful bright flower garden captures her imagination when thinking of Wolverhampton. The other element of Wolverhampton Claire has always admired, is the decorative architecture. Dotted around the city are intricate stone carvings above doorways and decorating the buildings. There is so much history to the city when we stop and look around. 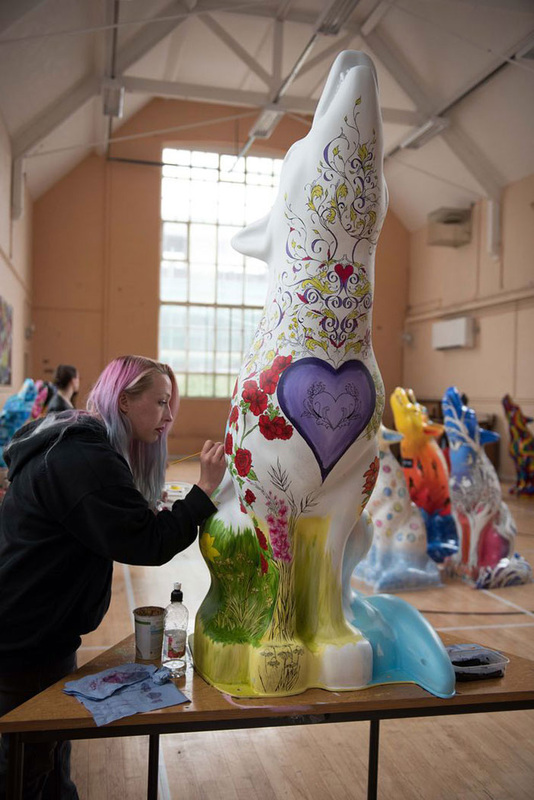 Wolves in Wolves is a joint project between City of Wolverhampton Council, Outside Centre and Wolverhampton BID.